When mountain biking, you are up against the elements whatever season you're in. Take a look at our guide on what to wear this winter in order to avoid the chill. Riding off-road in wet and muddy conditions can be heaps of fun, so instead of hibernating this winter why not head to the hills and fill your lungs with fresh cold air; you’ll soon warm up after the first climb and if you kit yourself out with some good winter cycling attire you’ll be comfortable from start to finish. The most important thing to remember when heading out on a cold winter’s day is to wear the right layers. From a snug and warm base layer to draw moisture and perspiration away from your skin, to a mid layer for insulation and a good waterproof or windproof outer layer to keep the wind and rain out, make sure you’re wearing kit that is well made and most importantly, breathable, so you don’t end up soggy from the inside out! 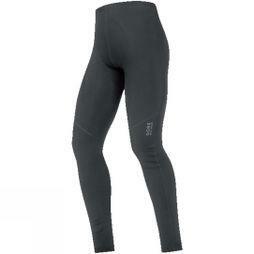 Your base layer is really important to keeping you warm and comfortable during your ride. Opt for a cotton t-shirt and you’ll end up with a soaking wet body after the first hill climb and then you’ll get really cold really quickly; a one way ticket to hypothermia. Instead, choose well insulating thermal vests, tees or long sleeved tops that are warm and designed to wick sweat away from your body and out through your other breathable layers. This way you’ll stay nice and dry around your core whatever the weather throws at you. The mid layer needs to keep you warm so choose a comfortable long sleeve jersey or breathable sweater with good thermal fabrics, a high collar, long tail and good length sleeves to cover your wrists. The fit should be fairly snug to trap warm air between the layers but with enough movement to allow you to float the bike over trail obstacles and jumps with ease. A high quality windproof and waterproof jacket will be an investment well made if you want to really enjoy your winter riding. Breathable fabrics are a must to keep you feeling fresh and a waterproof membrane or DWR (Durable Water Repellent) coating will keep you dry whilst out in the hills or at the bike park. This outer layer needs to be tough too so look for abrasion resistant fabric properties to make sure it can survive contact with any low hanging branches or crashes. Typically a looser fit than road cycling jackets, a good MTB coat will give you lots of freedom to move around on the bike when tackling steep and technical descents. 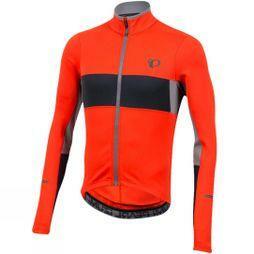 See our Guide to Cycling Jackets for more advice on what to look for when buying an MTB jacket. What you wear on your lower half is a matter of personal preference. Some die hard downhill junkies will carry on wearing their trusty baggy shorts and perhaps a pair of long thermal tights underneath to keep their legs warm on chilly days, or maybe a pair of motocross style downhill pants in the freeride park. Other riders will opt for waterproof shorts or trousers to keep the rain and surface spray out completely or simply ride in long cycling tights with a water resistant coating. They all do a good job of keeping you warm so the choice of style is completely up to you. A well fitted helmet will go some way to keeping your head warm but when there is still frost on the trail after sunrise, you know it’s time to layer up some more. Thermal skullcaps may not look great when worn on their own, but hidden under your helmet they will keep your head and ears toasty warm on the push up, as well as on speedy descents. A neck warmer might be a good extra layer too. 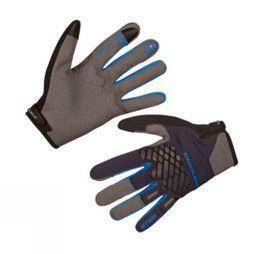 Cold digits will leave you feeling numb and out of control of the bike, so grab a pair of well insulated gloves with lots of grip and protective padding to keep the blood flowing and your hands moving. Riding through puddles and shallow streams will leave your feet susceptible to a right old soaking and wet feet in cold air aren’t a good mix. Thank goodness then for waterproof socks. A Merino Wool construction with a waterproof membrane, these miracle socks will keep your feet warm and dry all day long.